Chapter 24 (8:32am) Next day… Melbourne – Hotel – Heath and Bianca's Room "Anything from Brax this morning?" Bianca asked her friend who had just entered the room. Ricky walked over to the chair and sat down: "Yeah I got a text to say that Casey was fine, which we all knew anyway." "What about Kyle?" Heaths asks her as he pulls a clean top over his head. "Still no change with Kyle. That was at something like 3am this morning when a nurse checked on him." "Isn't that a good thing?" Bianca quizzes her "After all it means he isn't getting any worse." "Well Brax doesn't seem to think so but this is Brax we are talking about." Ricky tells them "Anyway, you both ready to go." Making sure they had everything (including a change of clothes for Brax and Tamara) Heath then walked over to the table picked up the keys and his wallet: "Yeah I think so." With that they left the room and headed out the hotel so they could get to the hospital. (9:14am) 42 minutes later… Melbourne – Hospital – ICU – Kyle's Room Everyone minus Casey was gathered in Kyle's room when Doctor Murry appeared in the doorway. "Sorry to interrupt but I was wondering if I could talk to Kyle's next of kin?" Doctor Murry says softly. Brax stands up and answers him: "That will be me but anything you have to say can be said with everyone in this room present. So, what is it?" "Well I'm a little concerned by the fact that your brother hasn't regained consciousness yet when there was no reported head injury from the accident." "Could that not just be due to the whole, being impaled on a branch?" Heath states as he remembers having to pull the branch out his brother's side. "No that would not be the cause of this, like I said this is something that would happen with a head injury. I would like to know if anyone has any idea if he may have hit his head or something?" "Not that we know of. What other symptoms could occur with a head injury other than this?" Ricky asks just wanting to know what might happen. Doctor Murry walked further into the room and took the glasses off his face and said: "Repeated vomiting, loss of consciousness for a long period of time, confusion and a headache that doesn't seem to go away which becomes more intense over time. These of course are just some symptoms of a head injury." Heath looks to Brax than not realising says out loud: "Oh no!" "Do you know something?" Doctor Murry asks Heath. "Well it might be nothing and could just be down to the accident but when Kyle was trapped in the car, we had to keep telling him there had been an accident as he couldn't remember." "That was probably down to the blood loss that your brother was something from Mr Braxton." "There was something else though." Brax remembers back at the hotel the other morning. "Yes?" "It might be nothing but yesterday morning when we went to get Kyle, he was sick for like 10 to 15 minutes but he said that was down to a hangover as he had gone out the night before. Then there was the fact that he told us once he had stopped that he would meet us across the road in the café but never did and when we did find him again he joked on saying he was messing with us but to both myself and Heath it was like he couldn't even remember it because he also had an argument with our younger brother that same morning and couldn't remember that either." "That like you say could just be down to hangover." "But doc that's not it." Brax tells him "Last night before we left to go home Kyle was talking to his friend Phoebe and she said that she had come to the hotel to apologise for what happened the night before and that she hoped he was ok." "Apologise for what?" Tamara butts in. "That's the thing, I don't know." Brax replies. "We need to try and get in contact with this Phoebe then to find out if anything happened." Tamara quickly remembers that Kyle once said that Lydia shares a flat with Phoebe, so she decides to inform Doctor Murry: "Why don't you ask Nurse Lydia White to find out?" "Why would Nurse White know about this girl?" "Kyle is friends with Lydia and I remember him telling me that she shares a flat with Phoebe." "Are you sure?" Doctor Murry asks and gets answer in the form of a nod "Well if you excuse me, I will go and call Nurse White right this instance." As they watch the doctor leave the room, Ricky turns to Tamara and asks: "Are you positive that's what Kyle told you?" "100 per cent positive Rick." Tamara says as she goes back to looking at her boyfriend. (9:21am) 7 minutes later… Melbourne – Hospital – ICU – Outside Kyle's Room While Tamara sat with her boyfriend, everyone else was congregated in the corridor. "I know that look." Ricky states as she stares at her boyfriend's face "What you thinking Brax?" "I'm thinking that what if that girl was apologising for perhaps arguing with Kyle then in the process Kyle somehow managed to hit his head?" Brax replies. "But that makes no sense Brax, why would they be arguing?" Bianca jumps into the conversation. Heath thought it was best to tell them who Phoebe was: "Well they might have been arguing because before Kyle left Melbourne with Dad, he dated this chick and apparently she wasn't very happy with him from what we could gather at the dinner on the first night here." Before anyone had a chance to say anything a loud noise was heard coming from Kyle's room and a shout. "SOMEONE HELP!" Hello, the author here, just wanted to say thank you to everyone who has continued to read this fanfiction. Also, thank you to everyone whos takes time out therir lives to write a review. They are so lovely and i enjoy reading them all. Anyway, here's the next chapter. Chapter 23 (9:50pm) 12 minutes later… Melbourne – Hospital – ICU – Kyle's Room Tamara was sat talking to an unconscious Kyle when Brax quietly slipped into the room. "Guess what Kyle, Brax has eventually returned and he has coffee." Tamara laughs as she turns around to look at the oldest Braxton "Did they have to pick the coffee beans before making it?" Brax walks over to her and hands over the coffee: "I didn't know you were funny." "Well I am now." Tamara continues to laugh as she takes the coffee "So, what was your excuse then?" "I thought I would give you some time alone with Kyle, before everyone returns to visit. Ended up sitting with Ricky in the canteen then popped into Case's room to check on him but he was fast asleep." "Thanks Brax! I'm grateful that you wanted to do that but he's your brother you can be here too. Also, do you honestly think this whole thing with Casey caring about Kyle is genuine?" "I know I am, but you haven't seen him in a couple of days and the first time you do since going on this stag do, it's in a hospital and he's unconscious. Also, I honestly do so I wouldn't worry about it as Casey seems to be really worried that Kyle might not be alright." "Well first off, Kyle will be fine." Tamara states then continues "After all he has that stubborn Braxton gene. Secondly, you're probably right and I'm just ready way too much into this than there actually is. However, you can't really blame me for thinking like this considering he hasn't really been very nice to Kyle since we got together." "You're right Kyle will be fine." Brax says as he sits down on the opposite side of the bed "No one can really blame you for thinking this way, but we do need to give Case a chance to prove that he can care about Kyle instead of hating him all the time." With that in mind both Brax and Tamara go back to looking at Kyle. They both start a conversation with Kyle in hopes that he would responds to one of them. At the same time… Melbourne – Hospital – Waiting Room "I don't understand why we can't seem him!" Phoebe says to her friend "After all we know him better than any of those other people." Alex sighs and for what felt like the seventieth time he repeats himself: "As I keep saying Pheebs that just because we have known him the longest doesn't mean anything. They are his family and before you say no, they aren't as we are his family, you have done nothing but be horrible to Kyle since he got here and then you pushed him which caused him to bash his head. So tell me, how can you really call him family?" "I apologised to him Alex and he forgave me for what I did. To top it off when I peaked in through the window to Kyle's hospital room, there was a girl sat in there who I hadn't seen before, she has no right to be in there at all!" When Phoebe mentions the girl, Alex starts to describe her to make sure that the girl was his best mate's girlfriend. "Yeah that was her!" "Well Pheebs I hate to break it to you, but that girl has every right to be in there." "I don't understand what you are on about." "The girl you saw is Kyle's girlfriend Tamara." Just then the door opened and Lydia enters and hears what Alex says: "Did I just hear you right?" "Yeah you did Lyds." "I thought she was related to them not Kyle's girlfriend when I told them where to go earlier." "Did they know who you were?" Alex laughs. "No but that's because I didn't tell them." Lydia quickly replies: "Look I have to and check on Kyle then I'm finished so we should head home and come back tomorrow." "I not going anywhere till I've seen him." Phoebe states as she throws herself into one of the chairs. Alex turns and answers: "Yes you are and if you don't walk out of here yourself, I will carry you." With that Lydia, tells them she will meet them back at reception after she checked on Kyle. (10:18pm) 28 minutes later… Melbourne – Hospital – ICU – Kyle's Room As Lydia enters the room, she notices that the occupants of both chairs were asleep and she didn't really blame them as it had been a long day for everyone. Quietly she grabbed the chart from the bottom of the bed and then walked over to the machines and started running through the list of things she needed to do. While Lydia was working on this Tamara opened her eyes and sat up: "How is he?" Startled Lydia turns around to find Tamara looking at her: "He's doing as well as can be expected at this stage although we would have preferred for Kyle to have woken up by now, but knowing Kyle he is going to make us all sweat a little..." Lydia suddenly stops talking when she realises what she had just said. "What did you just say?" Tamara asks the nurse as she didn't think she heard her correctly. "Nothing." "No, you just said something that made it sound like you know Kyle." Knowing she wasn't getting out of this conversation, Lydia responded: "Me and Kyle have been friends since high school." "Hang on, you aren't by any chance Lydia White, are you?" "Yeah I am but how do you know that?" Tamara looks at the woman and smiles: "Kyle has told me all about you, Alex Maden and Phoebe Nicholson. My name is Tamara Kingsley, the girlfriend." The last part cause both girls to laugh but they quickly stop when they see Brax move from the corner of their eyes. "Well Tamara its lovely to meet you eventually. Kyle told us so much about you before he even arrived in Melbourne and then continued to talk about you when he got here." "Good things I hope?" Tamara quizzes. "Don't worry not a bad thing was said. We could tell that he really cares about." "I care about him too." Looking at the clock, Lydia notices she has finished her shift and her friends will be waiting for her: "Look I'm about to finish but I'll be back tomorrow morning why don't we grab lunch in the canteen and we can get to know each other a bit more than what Kyle has told us about each other." "You know what that would be great as it will give the others a chance to see Kyle. I guess I will see you tomorrow then." Tamara says then repositions herself in the chair. Lydia bids her goodbye, places the chart back where it belongs then heads off to clock out and go home. i was wondering who Braxton54 was to be honest as i really enjoyed writing up this suggestion. It was one of my faves which is why i did it in two parts. I hope you didn't mind that i changed it a little bit. So your Braxton54 on Fanfiction???? Idea by Braxton54 (Fanfiction): Can you please do a one shot where Kyle gets drunk and does drugs and Brax has to shout at him and ground him and take away his guitar as punishment. Please read chapter 28 before this one, as this is a multi-chapter one shot. Chapter 28 - Experimenting Can Lead to Punishment Part 2 2 days later (8:35am)… Summer Bay – Summer Bay High – Lockers It was Monday morning and the start of a new school day; Kyle Braxton was stood by his locker sorting his books out when Aden came over. "Hey Kyle!" Aden greeted as he approached his best friend. Kyle stops what he was doing and looks up: "Hey mate. How was your weekend?" "Not too bad. Me and Nicole spent the whole of Saturday morning cleaning the house before Roman got home." "Did he suspect anything?" "Nope, the man is still ignorant to the whole party thing." Aden laughed "Anyway, what about you?" "What about me?" Kyle questioned his friend. "How was your weekend?" "Oh, it was pretty much the same as usual." "So, neither of us did anything interesting this weekend then." "Guess not." Just as Aden was about to reply, he noticed his girlfriend enter the building. "Aden?" "Sorry mate, what did you say?" "I was asking if you fancied going to the Den at lunch?" "I don't know mate; I'll see what Belle is up to and I will let you know." "Cool." Kyle sighed. "Anyway, I better go and say hello to Belle. So, I'll see you in class." Aden says as he grabs his stuff out of his locker and walks away to find Belle. Typical, I'm once again dumped for Belle. This is getting annoying now! Kyle was interrupted from his chain of thought when he noticed Axel appear beside him. "Axel." Kyle says. "Kyle." Axel says back. "What?" "I didn't hear back from you after you left mine on Saturday." "Yeah, sorry I got home and crashed. Then had to work on Sunday." "That was too bad, I had some more stuff that thought I would share with you." "Really?" "Yeah, but you didn't answer my messages." "Do you still have it?" Kyle asks as he lowers his voice so no one could hear him but Axel. Smiling as he knew that he had Kyle hooked already, Axel replies: "You are one lucky human being my friend. I thought you might want to give it another go so I kept some for you." "Do you have it with you?" "No, if I brought it to school I would be expelled. However, if you want at lunch we can go back to mine?" Forgetting about Aden, as he knew Belle probably has other plans and Aden would be with her, Kyle answers with: "Yeah why not, should I meet you here at lunchtime then?" RING! RING! RING! RING! "Yeah I'll see you then." Axel replies just as the bell goes off to signal the first warning to get to class. Kyle quickly grabs his stuff and heads off to class leaving Axel to think. This plan of mine was genius! Plus, it didn't take him as long as I thought it would guess Barrett won the bet after all. I'll have to let him know when I see him tonight. (12:05pm) 3 hours and 30 minutes later… Summer Bay – Summer Bay High – Lockers After thinking about what he was going to do at lunchtime throughout the whole of his morning lessons, Kyle was currently stood back where he said he would meet Axel. "Sorry, I'm late dude." Axel says as he walks over to Kyle. "That's ok. I haven't been here that long." Kyle informs his new friend "Shall we go?" "Yeah let's go." Axel answers as he leads the way out of the school. (12:25pm) 20 minutes later… Summer Bay – Axel's House – Axel's Bedroom "You ready mate?" Axel wonders as he watches Kyle finish setting everything up. "Yeah." Kyle responded, "Are you not going to do it?" "I would mate but I only kept enough back for you but I'm going to get some more tonight if you fancy doing more later?" "I don't know…" "Why don't you know?" "Well is it safe?" "Is what safe?" "To do this more than once in a day?" "Mate, it is perfectly safe don't worry about it. Now are you sure you don't need to back at school for 1pm?" "Then yeah I'm up for doing more tonight." Kyle smiles "I have a double free after lunch so don't need to head back to school. I was just going to head home after lunch anyway." "Cool, if you want you can hang here then we can go get the stuff and come back." Axel asks his new 'friend'. "Thanks, I'll do that. Anyway, let's get on with this." Kyle replies. Taking the stuff, he carefully injects it into his body. As soon as the drug entered Kyle's body, he started to feel relaxed which in turn led to him falling asleep. (12:40pm) 15 minutes later… Once he was sure that Kyle was asleep, Axel took out his phone and started to take pictures. He then proceeded to send them to Josh Barrett, as he knew the guy was currently suspended from Mangrove River High and decided to cheer him up as he also knew that his mum had grounded him so he couldn't leave the house either. Axel also quickly texts his dealer and asks him for the stronger form of heroin. (12:55pm) 15 minutes later… Unfortunately for Axel, he didn't have a double free after lunch he only had a single free period then maths, so he had to go back to school, but he had left Kyle a note to inform him that he was welcome to stay until he got back from school. His mum wasn't going to be back until 9pm that night and his dad was out of town on business. Plus, his younger sister was staying at friend's house due to them having a group assignment. Therefore, Kyle wouldn't be disturbed. (4:55pm) 4 hours later… Before Axel had headed straight home, he decided to get the stuff from his dealer. When he did return home, the house had been quiet but then he went to his room and found Kyle watching funny videos on the internet. "Sorry I was late getting back mate." Axel says as he puts his bag beside his desk "Did you get the note I left you?" Putting his phone away, Kyle looks at his friend and replies: "That's ok I only woke up an hour and a half ago. Since then I texted Brax to let him know that I wasn't coming straight home as I was going to the library until a friend had finished his lesson. Also, I did get the note thanks." "Did Brax really fall for that?" "Yeah, it's me I'm meant to be a goodie two shoes or a nerd remember." Kyle remarked causing the both of them to laugh. "True, very true. So, my dealer sent me a message saying I could pick the stuff up early which is why I was late getting back." "Wow, is it normally this early?" "Just depends on if he already has some on him or not." "Great customer service then." Kyle laughs. "Pretty much. Anyway, are you ready to do more?" Axel asks. Kyle instantly pulls his sleeve up, which lets Axel know that Kyle was ready. (8:23pm) 3 hours and 28 minutes later… Summer Bay – Braxton House After waking up from doing more of the drugs and also throwing up, Kyle had thought it would be a good idea to head home so Brax didn't suspect that anything was wrong. As soon as he approached the house, Kyle was instantly aware of the TV blaring from the living room and was prepared for when he entered the house. (8:25pm) 2 minutes later… Summer Bay – Braxton House – Living Room "Hey Brax, Ricky." Kyle says as he puts his bag on the chair beside the door. "Hi Kyle. How was school?" Ricky asks the boy who had become like a younger brother to her. Walking into the kitchen and grabbing a drink, Kyle shouts: "It was good. Spent an hour studying in the library and working on an essay that is due in on Friday. Then me and a friend from history class headed back to his house to work on the assignment we had been given during second period." "Sounds like you've had a busy day." Brax says as Kyle re-enters the room and sits down. "Yeah but it was all good though. I take it Casey is out with Ruby still?" "Well he should have been back at 8pm but he called to say the film was going to run over so he was going to walk Ruby home and then come home himself." "Well at least he let you know that it was going to run over." "See Brax, even Kyle agrees with me." "What do I agree with?" "That it was good of Casey to tell Brax about the situation instead of not bothering." Ricky points out then goes on to say "Brax, wanted to punish Casey as he would be late back." "Brax, you are aware Casey is 16, right?" "Yes Kyle, I am very much aware just like I know that you are 17." Brax laughs. "I just wanted to check. Anyway, I want to finish this essay then get an early night so I will see you in the morning." Kyle says standing up but then quickly sitting back down. Both Brax and Ricky stop watching the TV and instead they are focused on Kyle. "Kyle, are you okay?" Ricky quizzes him. "Yeah, I just stood up to quickl…" Kyle stopped mid-sentence and put his hand to his mouth before running out of the room to the bathroom. Watching Kyle run out the room, Ricky turns to Brax: "Something tells me he won't be going to school tomorrow." Brax nods in agreement: "It's probably a 24-hour thing and I don't mind him missing a day of school considering he is never off anyway." With that Brax stands up and leaves the room to go check on his younger brother. (12:32pm) Next Day… Summer Bay – Braxton House – Kyle's Bedroom Brax had been true to his word and decided to keep Kyle off school to be safe as he didn't want to have send Kyle there just for the school nurse to send him home again. Everyone was currently out: Casey was at school and everyone was else was at work. He had texted Axel that morning explaining that he wasn't going to be in school today and was wondering if he could bring more stuff round at lunch. If Brax did end up coming home to check on him Axel had suggested to Kyle that he should get all of the school work Kyle would miss for the day and bring it over. So now the two them were currently sat in Kyle's room and had just injected more drugs into their system. Only the thing was Axel hadn't really done any he let Kyle go first that way he wouldn't know if Axel had done it or not. Making sure that Kyle was fast asleep, Axel went about cleaning everything up and then left to head back to school before anyone came back. He also made sure to leave more of the drugs for Kyle and then sent a text to his phone to let him know where he had hidden them in Kyle's bedroom. (3:16pm) 2 hours and 44 minutes later… Summer Bay – Braxton House – Living Room Brax had decided to leave the restaurant early so he could go check on Kyle and make sure that he was ok. When Brax entered the house, he was surprised to find the place silent, he thought that by now Kyle would be feeling better and doing either the homework he said that someone would probably drop off for him at lunchtime at the dining room table or watching the TV due to feeling better. Hmm I wonder where he is? I genuinely thought he would be better by now. Maybe he is in his room doing his homework in there instead. Brax stops wondering where Kyle is and heads to his brother's bedroom to check on him. (3:19pm) 3 minutes later… Summer Bay – Braxton House – Kyle's Bedroom When Brax entered Kyle's room he was surprised to find him fast asleep. I guess this is more than just a 24-hour bug! Oh well guess he is taking another day off school and if he still isn't better tomorrow, I'm taking him to get checked out at the hospital. Quietly, so not to wake his younger brother, Brax leaves the room and closes the door. (10:45am) Next Day… Summer Bay – Braxton House – Garden "So, what you going to do about Kyle?" Ricky asks as they return from the beach. Putting his board back where it belongs, Brax speaks: "I think I might go and get him checked out at the hospital. He was up all night throwing up and I'm slightly worried that it might be something worse." "Or you're just worrying about nothing and it just a normal sickness bug that will run its course and then Kyle will be back to normal." "Maybe you're right and I'm just worrying." "Brax, there's something you should know about me." "What's that then?" "I'm always right." Ricky laughs "Anyway, why don't you suggest to him that he helps you out at the restaurant as it will get him out the house so he will be able to get some fresh air and you can also keep an eye on him," "I should know that by now." Brax responds to his girlfriend "Also that's not a bad idea but he can do school work instead of helping me." With that Brax heads inside to wake Kyle up and let him know what was going to happen during the day. (10:50am) 5 minutes later… Summer Bay – Braxton House – Kyle's Bedroom Brax had knocked on the door and then entered Kyle's bedroom to find him flat out asleep with one leg hanging out of the bed. "Kyle." Brax says as he shakes his brother's shoulder to wake him up. Slowly, Kyle opens his eyes and yawns. "Time to get up mate. Your coming to the restaurant with me so I can keep an eye on you." Brax informs Kyle then leaves the room to allow his brother to get ready. Great! I have to go with Brax to work, I was planning on taking the stuff that Axel said he had left me. Unless I hide it in one of my pockets and take it with me. Hopefully I won't fall asleep like I have every other time. Kyle finishes thinking to himself and gets out of bed and gathers his clothes and heads to the bathroom to grab a shower before Brax can. (1:58pm) 3 hours and 8 minutes later… Summer Bay – Angelos – Main Restaurant Area Kyle had ended up taking his school bag with him so he could do the homework that he never got around to doing yesterday, it was also the perfect place for him to hide the stuff he would need. Ten minutes ago, Kyle had been able to escape from Brax who had to go and sort out an issue with the Gym as Heath wasn't there to sort it this allowed Kyle to go to the toilet, he also took the stuff with him. He had that amazing feeling of being on cloud nine. Thankfully this time he hadn't felt sleepy and was able to gather the items back up and roll down his shirt sleeve quickly. He was also able to hide the items back in his school bag before Brax had returned from downstairs. When Brax did return from the Gym, he found Kyle in same place doing his homework: "How you feeling mate?" Kyle doesn't look up as he is in the middle of writing, but he does reply with: "I feel a lot better thanks for asking Brax." "I'm glad, you can go back to school tomorrow if that is definitely the case." Brax says then walks off into the kitchen to sort out the menu for a party of six that had reserved a table for tonight. (2:29pm) 31 minutes later… Ugh, I feel like I'm going to be sick. What is this stuff that Axel left as it didn't do this to me the first a couple of times at trying it? Kyle is broken from his train of thought as Brax reappears from the Kitchen. From where he was stood Brax, carefully observes Kyle. He instantly notices that Kyle has gone really pale again and he can almost make out the tiny beads of sweat that were starting to form on his brother's forehead. "Kyle, are you okay?" Brax queried. Kyle didn't answer straight away so Brax had to asked the question again. Eventually Kyle looked at his brother before he stood up. "Where are you going?" Brax asks thinking to himself that Kyle really shouldn't stand up as he didn't seem to be very steady on his feet. Kyle starts to speak: "I I'm goin going to the toil toile…" Kyle doesn't get a chance to finish the sentence as before Brax could reach him, Kyle collapsed on the floor and started to have a seizure. "KYLE!" Brax yells as he races over to his younger brother. Kneeling down beside him, Brax moves stuff out the way so Kyle can't injure himself on anything and then pulls out his phone to call an ambulance. (2:51pm) 22 minutes later… Summer Bay – Yabbie Creek – Hospital - Corridor Doctor Rachel Holden had just started her shift for the day at the hospital. When she heard a shout from behind her. "RACHEL!" Brax yelled as he spotted the doctor who lived next door. Rushing over, Rachel asked: "What we got?" One of the paramedics responded: "Kyle Daniel Braxton, aged 17. Has been unwell for the past two days. His brother said that he started feeling fine about 51 minutes ago but then 22 minutes ago, he started to slur his speech before collapsing and started to have a seizure." "Right get him into to Trauma Room 1." Rachel says once the paramedic had finished speaking. She then turns to Brax and asks him "Do you know what might have caused Kyle to become unwell?" "No, I have no idea he was fine Monday morning but when he got home that night he was sick. Me and Ricky thought it might be a 24-hour thing, so I kept him off school yesterday but he was then up all last night being sick. So, I thought maybe if I took him with me to work, he could get some fresh air and he started to get better but about 25 minutes ago he got worse again." Brax fills the doctor in. Rachel could clearly see the worry on her neighbour's face and promised she would get to the bottom of whatever was causing this. Brax stood and watched as the doctor walked away to help his brother and quickly sent a text message to everyone explaining what had happened. (3:47pm) 53 minutes later… Summer Bay – Yabbie Creek – Hospital – Waiting Room Everyone had eventually gathered in the waiting room of the hospital. It had been nearly an hour since Brax watched his brother get taken away and he hadn't heard anything. So, when the others showed up at the hospital demanding to know what was going on, he couldn't give them any answers. Suddenly the door opened and Rachel entered. "Brax." Rachel said once she was in the room. Quickly standing up, Brax demanded: "What's going on? It's been nearly an hour and no one has bothered to let me know what was happening?" "Brax calm down!" Ricky states knowing Brax shouting at Rachel won't help Kyle. "I wanted to be 100 percent sure about what we were dealing with before I came in and informed you of how Kyle was doing." Bianca jumps into the conversation thinking it was best: "So, you know what's wrong then?" "Yes we do." Rachel sighs. "What is it Rachel?" Brax asks her noticing the look on the doctor's face. "I don't know how to tell you this Brax but I sent Kyle's blood off to the lab and had it rushed straight through so we could find out what was going on. When we got the test results back, I had to ring the lab to be sure that they hadn't mixed up the results." "Why did you think they had mixed them up?" Heath asks. "Well when the results came back it said that Kyle had…" Rachel trailed off as she really didn't know how to tell them all this. "Kyle had what?" Ricky quizzes her friend as she starts to become worried that it could be something serious. "Kyle had large amounts of heroin in his system." The room became silent once the words had left her mouth, everyone was stunned as they thought they weren't hearing her correctly. Breaking the silence, Bianca asks: "Are you sure? As this is Kyle we are talking about?" "We are sure, that's why I rang the lab to double check as I couldn't believe it myself." Rachel told them "Do any of you know when Kyle started taking drugs or why? I'm not judging, I just want to prevent it from getting any worse." Casey who had been sat listening to the conversation, remembered how Kyle had gone missing for a long time while they were at Aden's party and when he did find him, he thought that he was drunk. Also, how he started to see Kyle talking to Axel at the party and on Monday." "I don't know if this has anything to do with it but at the party on Friday, I couldn't find Kyle so we could head home. When I did find him, he was passed out on Aden's bed and there was what appeared to be the remnants of white powder on Aden's desk." Casey spoke up he then continued "Also, I saw him talking to Axel at the party then they both disappeared that must have been where they were going. He was also with Axel on Monday at lunchtime and never returned back to school like you said he told you. Axel also dropped his homework off yesterday." "Are you sure Casey?" Brax asked his baby brother. Casey nodded his head. Thinking now was the best time to tell them, Rachel pointed out: "You can go and see him now but beware he had a lot of it in his system, so he is going to go through withdrawals I'm afraid." She then told them which room Kyle was in and they all thanked her then exited the waiting room to go see Kyle. (4:08pm) 21 minutes later… Summer Bay – Yabbie Creek – Hospital – Kyle's Room When they all entered the room, they were surprised to find Kyle awake. Sitting up quickly, Kyle said: "Look Brax, I know your angry but I'm sor…" Brax cut his brother before he had a chance to finish what he was saying: "You are in so much trouble. When I say trouble, I mean it. Firstly, say goodbye to your freedom as you are grounded till your 18th birthday. Secondly, your guitar is no longer yours, that will be given back to you when I feel like you can be trusted again." Kyle just stares at his brother and knows that what Brax had just told him was probably the start of a very long list of punishments. He knew that at the end of the day he deserved everything he got as Rachel had told him what could happen if he continued taking drugs and didn't want that to happen. "Thirdly, no more Axel! I mean it this kid seem like bad news and I don't want you hanging around him any more so I want your phone when we get home, so I can delete his number. Also, your phone is now…" Brax continues with the punishments for the next two hours until visiting hours were over and they all got kicked out to let Kyle get some rest. Idea by Braxton54 (Fanfiction): Can you please do a one shot where Kyle gets drunk and does drugs and Brax has to shout at him and ground him and take away his guitar as punishment. Just so you are warned this will be a long one and when I say long, I mean long so I have decided to split this one shot into different parts, I hope no one minds as I felt this would be the only way to truly do this justice. I have also changed it a bit so I hope you don't mind Braxton54. Chapter 28 - Experimenting Can Lead to Punishment Part 1 (11:25pm) … Summer Bay – Aden's house – Living Room "Dude this party is amazing!" Kyle yells over the music. "Yeah well make the most of it as Roman is back tomorrow so no more parties until the next time he leaves town." Aden reminds his best friend. "Yeah well next time the party will be at my place." Kyle laughs as he gets up to go get another drink. As Kyle leaves the room, Axel watches from afar and thinks to himself that maybe now would be the right time to introduce Kyle Braxton to the world of drugs. (11:32pm) 7 minutes later… Summer Bay – Aden's House – Kitchen Noticing Kyle near the back door talking to some people from school, Axel wanders over to him. "Hey Kyle." Axel says to him. Kyle stops talking and turns around to look at the misfit from school: "What do you want Axel?" "I was just wondering if you would like to try something." Axel says quietly so no one can hear him "Instead of being the goodie two shoes all the time, why don't you play the part of rebel." "What is it?" Kyle asks curiously as he was sick of being labelled with that nickname. Axel sticks his hand in his pocket and then pulls it back out to reveal a little bag full of white powder. "Is that what I think it is?" Kyle whispers to Axel. "Why yes Kyle it is. Fancy giving it ago?" Axel asks him. "Hell no." Kyle states then tries to move. "Come on Kyle! If you do this, then no one will call you a goodie two shoes any more or nerd for that matter." Kyle thinks to himself for a couple of minutes and imagines what it would be like to no longer be called those names by anyone at school. Noticing the look on Kyle's face, Axel smiles then says to him: "I know you want to Kyle so why don't you follow me and we can really get this party started." Watching Axel leave the room, Kyle knows that it's a bad idea but in the end, he feels his legs following in the direction that Axel just went. (11:59pm) 27 minutes later… Summer Bay – Aden's House – Aden's Bedroom Once Kyle had joined Axel, he closed the bedroom door and made sure that no one interrupted what they were about to do. "So, what do we do now then?" Kyle asks as he has no idea about this stuff. "Now we take out my little friend and put it into lines on the desk and then we snort it all up." Axel informs him "Here I'll show you how it's done." Axel puts all the powder on the desk and place it into lines, he then rolls some paper up and sniffs the powder. He then hands it over to Kyle once he was done then Kyle copies exactly what Axel had just done. (12:42pm) 42 minutes later… "Kyle!" A voice says as he feels something shake him. "Kyle! Get up!" the voice says again. Kyle opens his eyes to find his brother leaning over him. "Wha What's going on?" Kyle slurs as he sits up. "Dude, how much have you had to drink?" Casey asks his brother as he sits down beside him. Kyle shakes his head as he tries to remember what happened, then he suddenly remembers the great feeling he had after taking whatever Axel had given him. "Bro, we better head home otherwise Brax will kill us. We promised to be home by 1am." Casey reminds him then stands up and offers Kyle a hand. Kyle looks up at his brother, knowing Casey is right he grabs the hand then stands up and follows his brother out the room. (10:24am) 9 hours and 42 minutes later… Summer Bay - Braxton House – Living Room "So, do you reckon Kyle and Casey had a good time at the party last night?" Bianca asks as she joins the others round the table. "How do you know about the party?" Ricky asks curiously. "The thing with teenagers is, when there is party about to take place, they don't shut up about it." Bianca laughs "Plus the parties that have been going at Aden's house while Roman is away are well known." Brax who sits down at the table with his cup of coffee quizzes his sister-in-law: "What are you on about?" "Well let's just say the parties that happen when Roman isn't home get spread around the school like wild fire. Everyone talks about it but when they see a teacher, they tend to stop but someone just happened to pass a note round one of my classes the other day mentioning the party from last night so I that's how I knew about this one." Bianca tells them all. "Some of those kids at Summer Bay High are pretty stupid." Heath remarks which earns him a slap from his wife. Looking at the doorway, Brax says to everyone: "What time do you think the boys got home last night?" "Well you told them 1am so I'm assuming that's when they got home." Ricky points out causing everyone to laugh. At the same time… Summer Bay – Braxton House – Kyle's Bedroom Kyle was still asleep, until a beeping sound woke him up. Beep Beep Beep Beep Leaning over to his bedside cabinet, Kyle grabbed his phone and looked at the message he had just received. Axel: Hey Kyle, just wondering if you enjoyed last night? Kyle reads the message Axel had sent him and remembered the great feeling he had then replied. Kyle: Hey Axel! Yeah, I did thanks. A: You were defo a rebel last night mate! K: You sure? A: Yeah mate I'm 100% sure. No one will be calling you a goodie two shoes any more. K: I'm glad that name is annoying! A: Well if you want… K: If I want, what? A: Well I was going to suggest that if you want to make sure that name defo goes away, you could do again. That's if you want to. Kyle reads the message that Axel had sent him twice, just to make sure he understand what Axel was saying. He knew that if he did it again Brax might find out and he would be in trouble. However, the feeling whatever the stuff was had given him was amazing and he wanted to experience it again if he could. K: I want too. When and where? A: Well how about you come round my place for about 11:30? Looking at the clock, Kyle notices he has about an hour before he would need to be there, so he quickly replies. K: No bother mate, see you then! Kyle placed his phone back on his bedside table and quickly went about getting ready. (11:58am) 1 hour and 34 minutes later… Summer Bay – Axel's house – Axel's Bedroom Kyle had been at Axel's place for 28 minutes and he was still waiting to do more of what ever that powder had been last night. Wandering back into his bedroom after saying bye to his mum and sister who were going on a girls' shopping spree, Axel sat down on his bed. "So, when are going to do this?" Kyle asked his new friend. Axel turned to face Kyle and said: "Well I don't have any more of the powder form on me so I thought we could try when of the other ways." "Which is?" Kyle asked curiously. Standing up and walking over to his chest of drawers, Axel opened a drawer and pulled out two vials and two syringes. "This is what I have at the moment." Axel says as he approaches Kyle and shows him what he has. Looking at the stuff in Axel's hands Kyle thinks that it might not be such a good idea, but he wants to make sure he is never called a goodie two shoes again and knows that this is the only way he can be totally sure that he won't be. "Fine, but you are going to have to help as I have no idea what I'm doing." "Don't worry Kyle, I wasn't going to let you do it without knowing what to do first." Axel says. "Good, now shall we do this?" Kyle asks. With that Axel goes about showing Kyle what he needs to do and how to prepare the syringe. He then hands the syringe to Kyle and tells him to place it in the crook of his elbow and making sure not to damage anything push it into the skin then releases the liquid. As Kyle forces the drug into his body, Axel smiles to himself knowing that he has eventually corrupted his ex-best friend's new best friend and a member of the Braxton Family. Idea by Joyce (Fanfiction): Was wondering if you could do a story in which, there's some type of situation going on with the Braxton brothers, so Kyle decided to sacrifice himself and gets really badly hurt. And because Kyle doesn't fell like he's part of the brothers... It could be a kidnapping or something maybe? Perhaps Kyle gets stabbed. Chapter 27 - Sacrifice (7:35pm)…. Middle of Nowhere - Abandoned Building – Empty Room "Hurry up Heath!" Casey shouts as his brother undoes the rope that is currently keeping his handed behind his back. Eventually getting the rope undone, Heath says to his brother: "Will you be quiet, they might hear you." "Heath is right, Case we need to be quiet." Brax informs his baby brother while freeing Kyle. "Well I'm sorry if you are ok with this but I'm not." Casey exclaims. Standing up once he was free, Kyle walks over to the door and puts his ear to it in hopes of hearing what was being said on the other side. "What is he doing?" Casey asks when he notices Kyle. "I'm trying to hear if there is anyone on the other side of the door." Kyle responds. "And?" Heath asks him. "It doesn't sound like there is so for now we are safe." Kyle sighs and wanders back over to his brothers. "Safe? How are we safe, Kyle? They could come back at any minute!" Casey says starting to panic. Brax walks over to the youngest Braxton and puts his hands on either side of his face and tells him: "Casey, you need to calm down. Getting yourself worked up like this isn't going to help the situation. Kyle is right, if there is no one on the other side of the door we are safe for now." "Are you sure?" "I'm sure, we now need to figure out what we are going to do." Brax says as he releases Casey's face from his hands. Kyle looks at his three brothers, then suggests: "Well we have two options, first one being we wait and take what is coming or the second option try and escape." "Are they really the only two options you could come up with?" Heath says loudly. "Well I do have a third, but you aren't going to go for it." Kyle mentions to them all. Brax considers the first two options then turns to Kyle: "What's the third option?" "One of us becomes the bait to allow the other three to escape. If we choose this option, I will be the bait." "Not happening!" Both Heath and Brax yell. "Why not?" Casey says standing up and walking over to his brothers. "Because it will be a suicide mission Case that's why." Heath explains to him. "One which he offered to take." Casey pointed out. Kyle had enough of listening to them and decided to speak up: "He's right Heath. Look you three all have someone waiting for you to come home safely plus if one you three died in this situation how will the other two cope? With me I have nothing to lose. No one waiting for me. Plus, can you three honestly say you will miss me as much as you would if it was one of you three?" The other three Braxtons just looked at Kyle speechless. Deep down they knew they wouldn't cope if it was one of them three that died considering it had been the three of them against the world since they can remember. However, Kyle was their brother and they had only just found him and the thought of not having him in their lives would be painful too. "Come on Brax you know it's the only way of any of us getting out here. So please you need to let me do this." Kyle turns and begs his brother "Let me prove to you all that I can be like you three." What do I do? I know what Kyle is probably right, but I can't let him do this. Yet again he is capable of looking after himself he did it for yours before he found dad and us. Maybe I should let him do this. Stop it Brax! You cannot do this to him, after all he is still a kid himself and he has so much to live for. Brax stops thinking to himself and turns to Kyle then informs him: "You won't be doing the third option Kyle." "Come on Brax!" Kyle shouts at him. "We are all getting out of here together or not at all." Brax says and makes sure that they all understand that clearly. With that being the end of the conversation, the four brothers come up with a plan to try and get out of where ever they were alive. (9:47pm) 2 hours and 12 minutes later… "What on earth is taking them so long?" Heath demands to know. "I don't know but that might be their plan to get us when we least expect it." Kyle points out. "Not helping Kyle!" Heath yells. Kyle apologises and they all go back to sitting in silence. (12:04am) 2 hours and 17 minutes later… Waiting for what was to come had started to get boring and soon enough three of the Braxton clan had fallen asleep. However, Kyle was still awake watching and waiting for their kidnappers to come back. Technically, they are adultnappers when I think about considering kidnappers take kids and none of us are kids. I wonder what is taking these people so long because this is ridiculous now. I can't believe them three can sleep at time like this… A noise from the other side of the door startles Kyle from his thoughts and he quickly wakes the other three up. "What's going on?" Casey asks. "Ask Kyle as he just woke us all up." Brax says. "Listen." Kyle says pointing towards the door. "Is that voices?" Heath quizzes them. "Yeah, something tells me we are about to meet them." Kyle replies just as the door opens and five men enter the room. The five men stand in front of the four Braxtons and stare at them for a couple of seconds then one of them steps forward: "Eventually I get the pleasure of meeting the famous Braxton brothers." "Who the hell are you?!" Heath shouts at the guy. "I'm shocked!" The guy says with a surprised look on his face "Did Danny never mention me to you boys?" "Callum!" Kyle says to himself. "So, he did mention me, I'm going to assume that you are Kyle." Callum says to him. "He only told me that if you ever came knocking to run and don't look back!" Kyle tells him remembering what his dad had said to him. Not liking the fact, he didn't know what was going on, Brax interrupted the conversation: "I'm sorry but unlike Kyle, Danny never mentioned you to us three so care explaining?" Walking over to the brothers, Callum responds with: "I'm going to guess that your Brax, Heath and baby Casey. So, Danny told Kyle about me but not you three this shall be fun. Once upon a time me and your dad did some business together, but it went belly up and he left me hanging, high and dry with no money and a one-way ticket to jail. So, for the last 13 years I've been planning what I will do to him, but shock turns out little Casey here already took care of Danny so that means I have to take it out on you four." "We haven't done anything to you so just let us go!" Casey snapped at the man. "Shut up Casey!" Brax tells him as he didn't want the situation to be made worse. "I like this one! He can be the first one, take him." Callum says to the other men in the room and then leaves. The four men close in on the Braxtons ready to grab them and take Casey but before they had a chance Heath punched one of the men which confused them all giving the brothers a chance to run. (12:42am) 38 minutes later… Middle of Nowhere – Abandoned Building The four brothers keep running until they come to a dead end. "Now what?" Casey asks. "No offence Casey but I didn't think to ask them for directions." Heath tells him. "Let's just head back and find a different route out of here." Brax says quietly. Kyle stays quiet and just follows his brothers back the way they came. (12:59am) 17 minutes later… Middle of Nowhere – Abandoned Building – Exit Up ahead the brothers could see the exit and quickly they ran as Brax, Heath and Casey left the building they stopped noticing that Kyle was still inside the building. "Hurry up!" Heath yells. "Go, I'll hold them off." Kyle informs them. 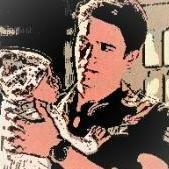 Running over to Kyle, Brax grabs him and pulls him along into the trees. (1:35am) 36 minutes later… Middle of Nowhere – Woods "Where are they?!" Callum shouts at his men "Find them now!" Not realising the brothers where actually closer than Callum knew, the man and his thugs headed off in a different direction. "Right we need to go now." Brax says quietly and starts moving away from the direction their kidnapper had just walked off in. The other three Braxtons followed knowing that to survive they had no other choice but to head back towards the building. (1:45am) 10 minutes later… As the Braxtons were heading back towards the building, Callum had also had the idea that they might head back there to try and call for help so while his men were searching the woods, he retraced his steps. Suddenly he heard voices from just up ahead. Spotting the brothers, Callum darted behind a tree. It's now or never! You are only going to get one chance so pick carefully. Which one will be the easiest to take? I know Casey, the baby and the one they all sought to protect but that makes it more fun! Quickly, Callum runs after the brothers to try and catch up with them. (1:53am) 8 minutes later… "Brax, are you positive this is the right way?" Heath asks the oldest Braxton. "Yes." Brax responds quickly. Kyle ignores his brothers and continues walking then stops as he hears a noise like a twig snapping when stood on coming from behind them. "Guys." Kyle says loudly but not too loud. "Not now Kyle." Brax answers. "I think we are being followed Brax." "Are you sure?" "Yes, I just heard a twig snap from behind us." "It was probably an animal." Casey interrupts. "No, it sounded too heavy to be an animal Case." Kyle mentions. Knowing that he had been found out, Callum thought it would be a good idea to show his face. Stepping out from behind the tree, Callum speaks: "Now that is just insulting. I'm not that heavy!" The four Braxtons just stand there and watch the man. "Well you look it!" Kyle retorted back at the man. "Kyle, stop it!" Heath and Brax both say. "Yeah Kyle stop it." Callum taunts Kyle. Noticing that the man he had left at the building was stood behind the brothers, Callum smiled and ran at the unexpected brothers. Bang… (1:55am) 2 minutes later… Time seemed to slow down and none of the brothers knew what was happening. Until Callum and his man got up off the floor and ran off not wanting to stick around in case someone heard the gunshot. Standing up Brax walked over to Casey and helped him up: "Are you ok?" "Yeah I'm fine Brax what about you?" Casey asks his big brother. "All good. Heath?" Brax calls out. "I'm fine Brax don't worry about me." Heath says as Brax and Casey quickly walk over and pull him into a hug. While them three were in the middle of a hug, Kyle was stood looking at the night sky. "The sky is pretty at night." Kyle said out loud which alerted his brothers to the fact he was still there. Walking over to Kyle, Brax tapped on his shoulder to get him to turn around. When Kyle did, all brothers gasped when they saw the blood starting to turn his white t-shirt red. "Kyle, did they get you?" Brax asked. Looking down, Kyle looked at his top: "He was going to shoot Casey, so I pushed him out the way. I guess he got me instead." Before they have a chance to say anything else, Kyle collapses in a heap on the floor. Brax throws himself on the floor and tries to wake Kyle up. He then places his fingers on his brother's neck and can't find a pulse so starts to administer CPR. The other two Braxtons just watch as Brax desperately tries to save their brother… 3 days later (11:34am)... Yabbie Creek District Hospital – ICU – Kyle's room Darkness. The only thing he can see is darkness, then slowly he starts to open his eyes and quickly closes them again when the light hurts them. He can hear voices asking him to open his eyes again and someone, Heath saying he'll go grab the doctor. Forcing them open, Kyle opens his eyes again and moves his hand towards whatever was sticking out of his mouth. "No Kyle!" Brax says to his brother as he grabs his hand, to stop him from pulling the tube out. "Someone decided to wake up eventually." Sid speaks as he walks over to his patient. "Kyle, I'm just going to shine this light in your eyes." Stepping over towards the other side of the room, all three Braxton brothers look at Kyle was relief and sadness knowing that there was a chance Kyle could have died not knowing they really did see him as part of them. Chapter 22 ...Doctor Murry looks at the people in the room and wondered where the three women came from. "Doc, how is he?" Brax asks the doctor who had been operating on Kyle. Snapping out of his thoughts, Doctor Murry replied: "We managed to stop the bleeding which had been my mine concern…" "But?" Casey says when the doctor stops speaking. "However, we nearly lost your brother three times during the surgery. So, although he is stable, I have moved him to the ICU as he is still critical." Doctor Murry explains "Also, there is still the fact he wasn't breathing on his own, therefore he is still on the ventilator until his oxygen stats show some improvement." "So, I take it there is still no response then?" Heath questions. "No there isn't but like I told you earlier that could just be down to the laceration to his liver and the internal bleeding that came with it. Until, he shows improvement we won't know if this was the exact reason why." Tamara, who had been listening carefully to everything the doctor told them, spoke up: "I'm sorry but from the way your talking it sounds like you don't know the exact cause for Kyle not responding." "Who are you?" Doctor Murry asks. "Tamara. Kyle's girlfriend." "Oh, forgive me I wasn't aware that he had a girlfriend." Doctor Murry apologise for the mistake "With a patient in Kyle's situation it can be hard to determine the exact reason until they wake up." "That's ok and are you sure?" "Yes I'm am. Anyway, you can go and see him now but only two people at a time as it is the ICU." He tells the group of people in front of him "Now if you will excuse me, I have other patients to go and see." With that Doctor Murry turns on his heels and exits the room. "I'm going to go see my boyfriend and you lot can argue over who will be joining me." Tamara says to everyone as she walks out the room in search of her boyfriend. 10 minutes later… Melbourne – Hospital – ICU – Kyle's Room In the end, it had been decided that Brax would go and see Kyle first with everyone else swapping with him later on. Tamara was sat holding Kyle's hand when she said: "Do you think he can hear us?" "Sorry?" Brax responds to the girl. "Well you know how they tell you that people can hear you when they are unconscious, I was wondering if you think it was true?" "Honestly, I have no idea. Maybe he can, why don't you give it a try and I will go get us some coffees." Brax tells her as he stands up. Tamara watches as the oldest Braxton walks out the room and then turns back to Kyle: "Hey, I don't know if you can hear me, but I thought I would give it ago. We all here and we love you. Even Casey seems to be worried which in away kinda makes me worried that he might actually be up to something." 28 minutes later… "I wonder how long it really takes to get coffee? I mean Brax left nearly thirty minutes ago." Tamara says as she looks at the doorway "Oh well his loss I suppose, it would be so funny if you woke up right now and he wasn't here. Please wake up Kyle." Meanwhile… Melbourne – Hospital – Canteen "Tamara is going to be wondering where you are." Ricky reminds her boyfriend. "I know, but I thought she would rather be with him without any of us there with her." Brax replied. "Your probably right. I feel so sorry for her, when you consider everything, she has been through in the last couple of months." "She doesn't blame you for what happened to her and you know that." "I know but I still take the blame for it." "You tried to protect her, and she is doing fine now." "Yeah due to me, Casey and Kyle are back to square one with the arguing." "Look them two arguing has nothing to do with you so get that thought out of your head right now. Kyle has had feelings for Tamara for a while and after what happened Kyle helped her as he felt he was doing something for Casey. That girl fell for Kyle after spending time with him and getting to know him. Casey just can't take that for once a girl no longer wanted to be with him instead, she wanted someone else." "But I didn't help any of it." "Rick, they have forgiven you, so you need to forgive yourself." "If you say so." "I do and besides I think we might finally have come to the end of them two constantly arguing." Looking at Brax, confused with what he means, Ricky quizzes him: "What you on about?" Setting his coffee back on the table, Brax answers: "Casey seems genuinely worried about Kyle." "Are you sure about that?" "Oh, we are most definitely sure. All he keeps asking is whether or not Kyle is going to be ok." "Well that's odd for him." "I know I think for once them two might come to understanding and make up." "Well let's keep our fingers crossed. Anyway, shouldn't you be getting back to Tamara now." Ricky laughs as she crosses her fingers. "Yeah, why don't you go and join everyone else back at that hotel you said you had booked and get some rest." Brax instructs her. "Only if you're sure." Ricky answers and gives Brax a kiss goodbye. At the same time… Melbourne – Hospital – Casey's Room While Tamara was sat with Kyle, Ricky and Brax were in the canteen and everyone else was at the hotel, Casey was all alone thinking to himself. I can't believe they actually have fallen for the "I'm really worried about Kyle." routine. Brax and Heath are so gullible its actually quite funny. Now just to try and keep this act going for long enough until Tamara either doesn't want to be stuck with the Freak anymore or he dies. I personally would prefer the second option! Casey continues to think his plan through for another ten minutes before drifting off to sleep. Idea by Guest (Fanfiction): Maybe Kyle has been working too hard and gets an appendicitis! But he refuses to tell anyone, until he gets really badly sick! I have changed this a little as from what I've read online about appendicitis and what I know of when my mum and best friend both suffered from this, working hard doesn't really cause it (so I hope whoever you maybe that you don't mind). Chapter 26 - Secret Illness Angelos 20-year-old Kyle Braxton was currently finishing his shift at the restaurant, when he suddenly started to feel a pain in his stomach. Great just what I need, to feel sick when I have to go out and celebrate Casey's 18th. I guess I'm just going to have pretend that I'm fine. Hopefully no one will notice until after tonight. Kyle stops thinking and goes to grab his stuff so he can head home. 25 minutes later… Braxton House – Living Room "Come on Brax, it's my birthday after all." Casey says to is brother. "Casey it isn't happening. You will be covering Matt's shift tomorrow whether you like it or not." Brax informs him "Therefore you will not be getting drunk tonight." Just then Kyle walked through the door and put his bag on the chair beside the door: "What's going on?" "Oh, nothing just Brax not allowing me to get drunk tonight because he once me to cover Matt's shift tomorrow." Casey says angrily "I'm going to go and finish getting ready." Braxton House – Kitchen Watching Casey walk out the room, Kyle heads into the kitchen and grabs a glass of water. "Hey Kyle, are you ok?" Ricky asks as she enters the room. "Yeah why wouldn't I be?" Kyle quizzes her "Anyway I think I'm going to get ready too." Ricky watches Kyle walk out the room and goes back to what she was about to do. 15 minutes later… Braxton House – Kyle's Bedroom I really wish I don't have to go out tonight. Maybe I can say that I'm needed back at the restaurant instead of going out with everyone else. Then when they have left, I can just have an early night. What I'm kidding? They will never buy that lame excuse as they will see straight through it. There's every chance the pain will go away over the cause of night. "Kyle, dinner is ready!" A shout breaks his train of thought. Oh yey food! Just what I want right now! 5 minutes later… Braxton House – Dining Room "About time." Heath says as he notices Kyle "Can we eat now?" "You're worse than Darcy." Bianca tells her husband. "I'm starving." Heath says as he starts to eat. Kyle sits down in the empty seat and looks at the food on his plate and the nausea comes back straight away. 9 minutes later… Everyone was nearly finished eating when Brax notices that Kyle's plate was still full, and he was just moving it around the plate with his fork. "Kyle, you not going to eat your dinner?" Brax asks his brother. Everyone stops their conversations and looks at Kyle. "I'm not really hungry at the moment." Kyle answers him not looking up from his plate. The teacher side of Bianca decides to inform him: "You need to eat if you're going out drinking to stop yourself from getting drunk quicker." Dropping his fork, Kyle looks at her and replies with: "I'm not that hungry because I had something at work as I didn't know if you lot would have eaten while I was there." "Oh well if that's the case your all good." Bianca says. "Does that mean I can eat his food too?" Heath asks with a mouth full of food. Kyle gives Heath his plate and excuses himself from the table to go and finish getting ready. 3 hours later… Yabbie Creek – Night Club 1 "Well what's everyone having?" Kyle asks. "Just a beer mate." Brax says with Casey and Heath agreeing. Kyle heads over to the bar leaving the other three to talk. Night Club 1 – Bar Area "What can I get you?" says the bartender. "Can I get three beers and one coke please." Kyle asks. "Sure thing." The bartenders says "There you go." Kyle pays for the drinks and then heads back towards his brothers. Night Club 1 "Has Kylie decided to have a vodka and coke like a girl?" Heath jokes when Kyle approaches them. "No actually Heath it isn't a vodka and coke." Kyle stated "Instead I just got a coke with no alcohol in it." Casey laughed when Kyle told them what he had: "Why?" "I'm pacing myself don't want to get drunk while I'm in the first club." "Well good on you Kyle for being sensible unlike us three." Brax laughs "Casey, maybe you should take a lesson from Kyle considering you have to work tomorrow." "Thanks Kyle." Casey huffs. "For what?" Kyle asks as he was confused as to what Casey meant. "For giving him the idea of me pacing myself." Casey answers back. "No problem." Kyle laughs. With that the other three go back to the conversation they had started while Kyle was getting the drinks. Thank god the pain and feeling sick has disappeared. I wonder what caused it? Oh well, it's gone and that's all that matters right now. Still, I will stick to soft drinks for now me thinks just to be safe. 4 hours and 47 minutes later… Yabbie Creek – Night Club 3 "Casey, no more!" Brax tells his younger brother as he takes the shot of him. "Why not?" Casey asks. "Because your working tomorrow." Brax reminds him again. "Fine no more booze." Casey says annoyingly. Heath and Kyle reappear from the dance floor. "Kyle has literally just been hit on by about 10 girls." Heath announces to his brothers. "Whoa that's impressive bro!" Casey says and pats his brother on the back. "Cheers Case!" Kyle says as he puts the phone number he got in his pocket. With that the four brothers go back to talking. Next Day – 10:23am… Braxton House – Kyle's Bedroom BEEP BEEP BEEP BEEP A hand emerges from under the duvet and feels around for the alarm clock that resides on the bedside table and turns it off. As soon as the alarm had stopped, the arm goes back under the duvet and the person it belongs to rolls over and goes back to sleep. 15 minutes later… Braxton House – Garden The other members of the Braxton household were sat in the garden having breakfast. "This is unlike Kyle to not be up yet." Ricky informs the others. Bianca jumps into the conversation with: "Did he get drunk or something last night?" "No, he stuck to soft drinks all night." Casey says standing up "Which is odd to be honest. Anyway, if I have to go to work I better go and get ready." They all say goodbye to Casey as he goes to get ready then leave the house. "Did he really stick to soft drinks?" Bianca asks the other two. "Yeah he did. Maybe he is just tired as he was at work pretty much all day yesterday and then we were out till 4am." Heath points out. "Heath's right, he's probably just tired." Brax agrees "Anyway are we hitting the beach?" With that the four of them get up and take their plates inside and grabs their stuff for the beach and leave. 2 hours later – 12:38pm… Braxton House – Kyle's bedroom Eventually Kyle wakes up and yawns. Slowly he sits up but moans in pain as he starts to feel sick again. Not again! What is wrong with me this time? Oh god I think I'm going to be sick. Kyle quickly puts his hand over his mouth and runs to the bathroom. 5 minutes later… Braxton House – Bathroom Kyle leans back against the wall beside the toilet after he had finished throwing up. Ugh I hate being sick. I suppose there's one good thing, it didn't sound like anyone else was here thank god. They wouldn't leave me alone if they know I'm ill and I don't think I could cope with that as well. Oh no… Kyle quickly sticks his head over the toilet again and throws up. 1 hour and 12 minutes later – 1:55pm… Braxton House – Living Room Brax, Heath, Ricky and Bianca return home from being at the beach and having lunch at the dinner. "It is quiet in this place for once." Ricky jokes. "Kyle must be out." Heath suggests. Brax looks at the corridor that leads to the bedrooms and bathroom. "What is it?" Ricky asks her boyfriend. "I might just go make sure he isn't in his room." Brax says as he walks out the room. "I wonder if Brax realises that Kyle is an adult." Bianca says causing them all to laugh. Braxton House - Corridor Brax knocks on Kyle's door a couple of times and gets no answer so he decides to open the door and look in. Braxton House – Kyle's Bedroom Kyle is in his bed asleep when Brax opens the door. Typical he's still asleep and it's the middle of the day. He probably needs it. I might as well leave him. Brax closes Kyle's door, not noticing the sweat that had formed on Kyle's head from how hot he is. 10 minutes later… Braxton House – Living Room Spotting Brax reappearing, Ricky says: "Was he in his room?" Sitting down on the sofa, Brax replies: "Yeah, still asleep though." "In the middle of the day?" Bianca quizzes him "That's not like Kyle at all." "Even I have to agree with my Bianca. That's not like Kyle at all Brax." Ricky adds. Looking at the girls, Brax just says again he's probably tired form all the shifts he has been doing at the restaurant. He then joins Heath in watching the match. 55 minutes later – 3pm… Braxton House – Living Room Casey enters the house after being at the restaurant for most of the day. "Hey Case, how was work?" Brax asks his brother while laughing. "Fine!" Casey states then looks around the room "Where's Kyle? I rang him like two hours ago, but he didn't answer." "When we got back, he was still asleep and I'm assuming he still is as there's been no movement from his room." Heath tells him. "That's unlike him." Casey commented "Well if he's still asleep, I might go grab a shower." Casey leaves the room, and everyone goes back to what they were doing. 8 minutes later… Casey reappears in the living room. "Well that was a quick shower." Ricky jokes. "I didn't go in." Casey informs them. "Why not?" Brax asks curiously. "Well considering the bathroom smells like vomit I think I would rather wait." "Are you sure?" Brax says. "Yeah I'm sure." Casey replies "Go and smell it if you don't believe me." They all look at each in silence. Ricky stands up and says: "That's it! I'm going to go and check on Kyle if you lot won't." With that Ricky leaves the room. 2 minutes later… Braxton House – Kyle's Bedroom Kyle was currently holding his stomach as every time he moved the pain intensified. Suddenly there was a knocking at the door and Ricky popped her head round. "Kyle, are you okay?" Ricky asks him. "Yea Yeah." Kyle hisses in pain. Ricky not taking that for an answer enters the room. She makes her way over to the window and opens the curtain to let some light into the room and turns around to look at Kyle. When she manages to get a good look at him, she instantly notices the beads of sweat on his forehead and the look of pain on his face. "You don't look ok." Ricky says. "I'm fine." Kyle tells her. Ricky walks over to the bed and puts her hand on his head: "Your burning up." Before Kyle can say anything in reply he turns over and throws up on the floor. "BRAX!" Ricky screams as Kyle continues to throw up. 1 minute later… Brax comes running in the room to find his girlfriend rubbing Kyle's back as he throws up into the bin which she had grabbed while shouting for Brax. "What's going?" Brax demands to know. "I think we need to get him to the hospital." Ricky tells him. "Why?" "His vomit is green and that's certainly not normal." Ricky explained "The last time I saw green vomit was when Jamie's appendix burst." Knowing that anything with appendix is serious Brax says: "Right we better get him to the hospital then. You grab one arm and I'll grab the other." Braxton House – Living Room Brax and Ricky guide Kyle out into the living room and towards the open door. "What's going on?" Heath asks noticing how pale his brother was. "I think his appendix have burst." Ricky responds. With that Brax quickly grabs his car and key and him Ricky take Kyle out to the car leaving the other three speechless. 35 minutes later – 3:46pm… Hospital – Nurse's desk Dr Nate Cooper was stood at the nurse's desk looking through a patient's file when he spots the two Braxton's and Ricky. Walking towards them he asks: "What's wrong?" "I think his appendix might have burst, Nate." Ricky explains. "Right, if that's the case follow me as we better check him over straightaway." Nate answers and walks towards an empty room. Hospital – Empty Room "Right Kyle, I'm just going to press on your stomach, and I need you to let me know if it hurts." Nate informs his patient. Nate starts to put pressure on the left side of Kyle's stomach and looks at Kyle who stays quiet. He then moves his hand over to the right side and just as he starts to put a bit pressure on it, Kyle screams. "AHHHH!" Kyle shouts. "Nate?" Brax questions the doctor. Moving his hands away from Kyle's stomach: "I'm taking him straight to surgery as I agree with your diagnoses Ricky." "So, they have burst?" she asks as some nurses enter the room. "Yeah they have and if we don't get them out now, he's in trouble." Nate explains. With that Kyle is wheeled away and straight to surgery. 1 hour and 45 minutes – 5:31pm... Hospital – Waiting Room In the time Kyle had been in surgery, the others had made their way to the hospital and were now gathered in the waiting room. Suddenly the door opened and Nate appeared: "The surgery was a success." "So, he is going to be ok?" Heath asks. "Yeah he will be." Nate tells them "Although, what I don't understand is why it took so long for him to come in." "What do you mean?" Brax asks. "Well Brax, from the looks of them it appears the symptoms probably started to show yesterday." Nate tells them "Anyway you can go and see him now. He's down the hall in room 5." "So now it makes sense as to why he didn't drink last night." Casey states. "Thanks Nate." They all say. With that they all leave the waiting toom to go check on Kyle. 9 minutes later… Hospital – Room 5 As they entered the room, they noticed that Kyle was already awake. "You are in so much trouble." Brax states as he approaches the bed. "I'm sorry Brax." Kyle says with a sombre look on his face "If I knew it was that serious then I would have said something before all of this." "Have you learnt your lesson?" Bianca asks him. "Yes. I promise." Kyle tells them all. "Good." They all say loudly. The room goes quiet for a minute then Kyle asks: "When can I go home?" Everyone bursts out laughing leaving Kyle with a look of confusion on his face.